In good news for Chinese businesses, on Jan. 9 the State Council decided to introduce a series of preferential tax reduction measures for the country’s smallest enterprises. These measures will bring significant relief for small- and medium-sized enterprises struggling to survive. But while China has achieved tremendous momentum in reducing taxes for businesses, it has made little progress in reducing the separate burden of social security payments they face. China has postponed introducing a stricter social security payment collection system originally scheduled for Jan. 1, but this is only a temporary measure. The direction of social security payment reform has not changed. China should quickly reduce the social security payment rate for businesses, and speed up the transfer of state-owned funds to social security funds. The excessive tax burden faced by Chinese companies has long been criticized. But their large social security contributions for each employee are a further burden. The basic pension contribution paid by employers is as high as 20% of an employee’s salary, and employees must pay 8%. It’s one of the highest rates in the world. Enterprises and employees actually spend some 40% of an employee’s salary on paying basic social security, medical, unemployment, workplace injury and maternity or childcare insurance. Businesses contribute three quarters of that. Although there is a gap between the actual payments made and the nominal rate, it is still clear that social security is a heavy burden for Chinese firms. While businesses have a duty to provide social security contributions to employees, the high rates are undoubtedly squeezing profit margins and the space available for business development. It’s a situation that leaves employees worse off too. China’s decision-makers are aware of the seriousness of the problem. Since 2015, the State Council has reduced payment rates for unemployment, workplace injury and childcare insurance, from 5% to less than 3%. But there is little room for further reduction. Obviously, in order to significantly reduce the burden on enterprises, China must address basic pension contributions, which account for the largest proportion of social security payments. In recent years, the central government has allowed local governments to reduce regional social security contribution rates to fit their own circumstances. Some provinces have lowered the rate for basic pension contributions by one percentage point, and the overall reduction has been small. Increased wages across Chinese society mean that even with the lowered contribution rate, social security payments continue to rise. Businesses have not seen any genuine reduction in their social security payment burden. At the same time, different provinces have different contribution levels, with significant disparities. Overly high rates will inevitably affect a businesses’ willingness to hire workers and pay the rates they’re required to. High rates also hinder the improvement of the overall level of social security and undermine the effectiveness and sustainability of China’s social security system. It is now a top national priority in China to reduce the required rates for businesses’ social security contributions as soon as possible — especially the burden of basic pension contributions. To achieve this, China should not only speed up research, but also implement it quickly. Reducing the required basic pension contribution rate may decrease total social insurance payments in the short term, which will place some financial pressure on the government. In addition, as China’s population ages, many provinces are experiencing a pension income shortfall. Given these circumstances, some may argue that reducing the social security burden on businesses is unwise. But this criticism is unfounded. The current social security payments gap, to a large extent, is caused by the government providing payments to make up for unpaid contributions from before the current social insurance law came into effect. An entire generation of workers should not have to pay for a gap created by historical factors. In November 2017, the State Council rolled out a plan to transfer money from state-owned funds into the country’s social security funds. The plan requires the transfer of state-owned shares of eligible centrally-managed enterprises, enterprises run by central administrative institutions and central financial institutions as soon as possible. The plan also calls for further studies to be carried out in the future if more transfers are needed, in order to reform the basic pension contribution system and meet the “needs of sustainable development.” This policy direction is reasonable and legitimate. The substantial development of state-owned enterprises in recent years also provides a solid basis for this capital transfer. Governments at all levels should increase the speed and scope of transferring state-owned capital to enrich social security funds, cover the cost of transitioning from the previous system with real money, pay off old debts, and better achieve intergenerational equity. 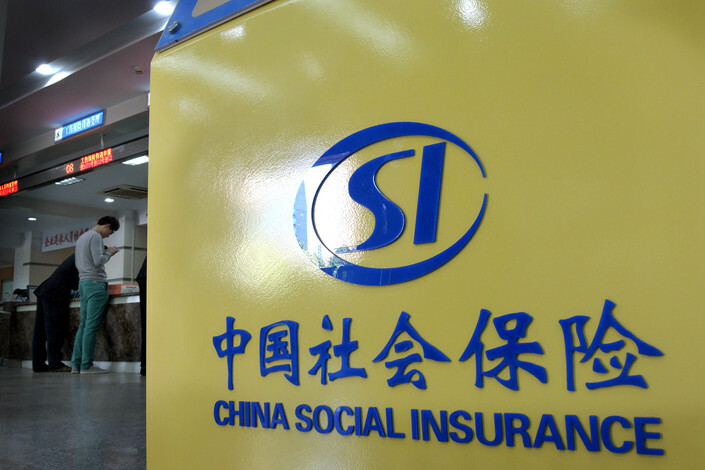 As China reforms its social security payment collection system, it must come to terms with the reality that historically, many companies did not pay their due social security premiums in accordance with regulations. At the beginning of September last year, tax authorities in some regions caused panic when they said they sought to collect past unpaid fees from companies. Although the State Council immediately stopped these practices, the problem remains unsolved. It is an enterprise's duty to make social security premiums in full according to laws and regulations. If exemptions are granted to those who break the rules, it will be unfair for both the employees of those rule-breaking businesses and the businesses that have followed the rules. However, we should not ignore the fact that, in the past, irregular payments were frequently condoned by local governments. With China’s businesses currently struggling to survive in a slowing economy, we should give consideration to businesses’ ability to pay. We hope that the interests of all parties involved can be rationally considered and that a proper solution can be found. Indecision should not be an option. The “Laffer Curve” that describes taxation can also be applied to social security payments. Increasing social security payment rates will not always increase the government’s social security income. More exploration is needed to determine the best rate, but it’s clear that China’s current rate is not ideal. At a time of increasing downward pressure on economic growth, most small and medium-sized enterprises are facing difficulties. In order for enterprises to survive, they must share the burden with the government. Reducing businesses’ required social security payment rates as soon as possible may be the best way to boost confidence. In the future, the government will certainly not regret its decision to reduce these rates. Once it has survived these tighter times, China’s social security system will be able to achieve long-term sustainability by balancing its accounts.